Welcome! Michigan Periodontics and Implants are pleased to welcome you to our practice. We desire all our patients to be completely informed decision-makers that recognize the health concerns they deal with, which's why we've filled this website with useful information about Periodontal Disease (gum problems) as well as Dental Implants. We invite you to visit this website whenever you have problems concerning your periodontal as well as other inner teeth structures. Our internet site will give you information about our staff, office hours, services, appointment procedures, insurance policies, maps with directions to our office in Sterling Heights, and other useful information. We understand life can be stressful, so we're committed to making our technique convenient and also easily accessible. We want you to feel confident that when you pick periodontist, Bassam Kinaia, DDS, CAGS, MS you're choosing a highly trained specialist and professional who is caring, certified, experienced, as well as taking care of all your periodontal and Dental Implants needs. Please take a couple of moments to look through this site to get a far better feeling for Michigan Periodontics and Implants abilities and solutions, in addition, an overall education on periodontal and implant dentistry. We serve throughout the Michigan location including Sterling Levels, Rochester Hills, and Troy MI. We also invite you to email or call our office at any time, whether to request an appointment or ask questions. 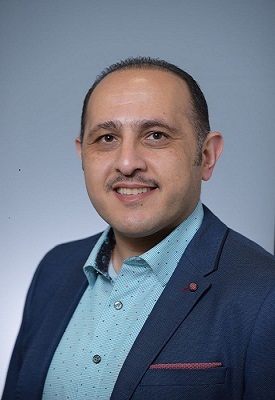 Dr. Kinaia is the current Director of the Graduate Periodontics Specialty Program at the University of Detroit Mercy School of Dentistry providing dedicated care to thousands of patients throughout southeastern Michigan. Prior to serving the Metro Detroit area, Dr. Kinaia, also served as the Program Director of Post Graduate Periodontology at the Boston Institute for Dental Research and Education in Dubai. His credentials include being a Board Certified Periodontist from the American Board of Periodontology and the State of Michigan. Through his dedication he has also obtained the prestigious designation of Diplomate from the American Academy of Periodontology and the International Congress of Oral Implantology. Dr. Kinaia is an active member of the American Academy of Periodontology and the American Dental Association. He maintains the highest levels of accreditation and lectures nationally and internationally on the latest trends in Periodontics and dental implants.